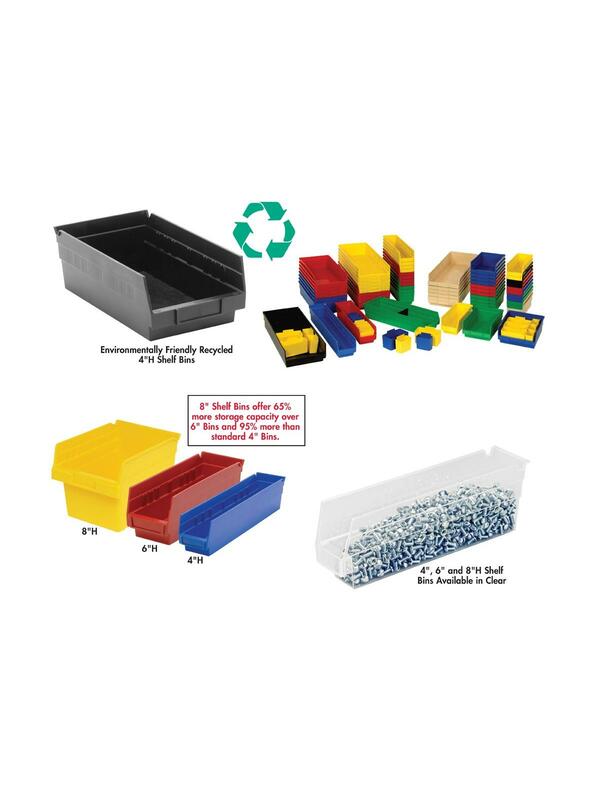 Durable polypropylene bins feature molded-in label holder. Built-in rear hanglock allows bins to tilt out for complete access. Wide hopper front allows easy access to contents of bin while in shelving. Reinforced edges add strength and durability. Designed for 12", 18", and 24" deep shelving units, racks or standard shelving. Waterproof and impervious to most chemicals, unaffected by grease and oil. 6" Shelf Bins are available in Blue, Yellow, Red and Clear. 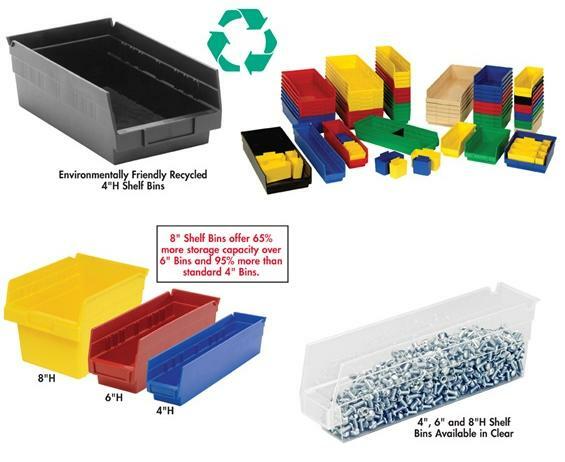 See the Related Items tab below for 4" High Economy Shelf Bins, 8" High Economy Shelf Bins, Bin Cups for Economy Shelf Bins and Shelf Bin Dividers for Economy Shelf Bins & Clear-View Shelf Bins. 11-5/8 x 11-1/8 x 6"11-5/8 11-1/8 6"
10-1/6 x 10 x 6"10-1/6 10 6"